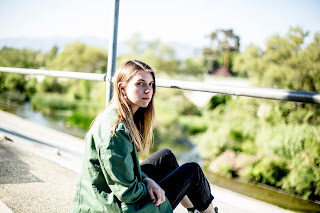 Background - Tomberlin, the rising Louisville, KY-based artist, has released a video for "Seventeen," the latest from her deeply moving Saddle Creek debut album, At Weddings. Dead Naked Hippies - Guillotine. Background - Thrashing into life in late 2016 with their caustic brand of punchy post-punk, Dead Naked Hippies return with their first track of 2018 - the raw, gritty and atmospheric Guillotine. 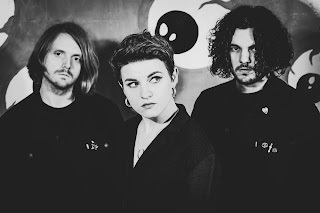 Capturing the trio, and frontwoman Lucy Jowett especially, at their most honest both sonically and thematically, the track builds on a steady release of acclaimed singles. Oldermost - Same To Me. Background - “Same To Me” is the brand-new second single that Philadelphia’s indie rock band Oldermost ahead of the release of their new album How Could You Ever Be The Same? that AntiFragile Music is releasing on Friday, July 13th, following its rollicking lead single "The Danger of Belief”. The introspective song was one of the first written for their new album, and is one of its gorgeous, hazy stand-outs. It’s also frontman Bradford Bucknum’s thesis about love, and how embracing change is a liberating act that permits deeper possibilities of loving someone and loving one’s self. 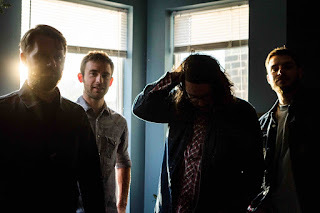 It also highlights the bands’ penchant for creating era-blending Americana-infused rock & roll with a more indie rock vibe in the vein of The War On Drugs (their Philly contemporaries!) or Wilco. 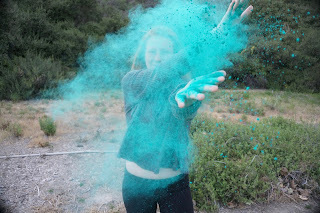 Background - Teen singer-songwriter Jaicee Rentz hails from the sunny shores of San Clemente, California where the breezy ocean vibes made an indelible impression on her. Themes of nature and space are often swirling around her lovely rustic-Inspired tunes, influenced by the anthemic dance pop of Carly Rae Jepsen and the earthy acoustics of The Lumineers. Jaicee’s debut release, Colors, is a striking calling card for her warm, mature vocals and tactile musings - the kernels of which were all received as midnight downloads, captured as song sketches and later fleshed out into full productions at Roshambo Sound. In the studio, Jaicee multi-tracked keys, guitar and banjo while stamping each track with her punchy, nuanced vocals and oddball sound flourishes. A prodigious musical outpouring, reminiscent of early Beck in its tight grasp of sonic scope and psychedelic turnarounds.